BREAUX BRIDGE – The Crawfish App is now in its third season giving crawfish aficionados one place to find the best live or boiled crawfish deals. We all know the struggle, Having to scour the internet or phone book just to find the best priced crawfish. Well now, there’s the crawfish app, a user friendly smart phone app that makes finding live or boiled crawfish simple. “It seems like we’ve been able to take an industry that was stuck in the 1980’s or 90’s where you had to make phone calls and we brought them into the 21st century into the digital age,” says Laney King, co-founder/owner of The Crawfish App. Buckner is one of the many business owners who are benefiting from the app. Laney King and her husband just wanted a place to find the best crawfish deals, never anticipating the amount of small businesses that would gravitate towards this technology. Now businesses like Crazy ‘Bout Crawfish are capitalizing on the crawfish app which has 170,000 daily users looking for the best crawfish. 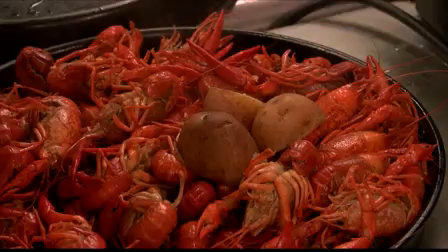 “Breaux Bridge being the crawfish capitol of the world, it’s just great to really have this app because I think it’s going to be really significant to my business,” says Buckner. For Laney King, introducing people to businesses they would have normally never heard of has been the most rewarding aspect of creating the crawfish app. While Louisiana is the biggest market for the baton rouged based crawfish app, Texas has quickly become the second biggest market, with businesses listing their crawfish prices all across the gulf coast. The Crawfish App is free to download and is currently available on the Apple App Store and Google Play.